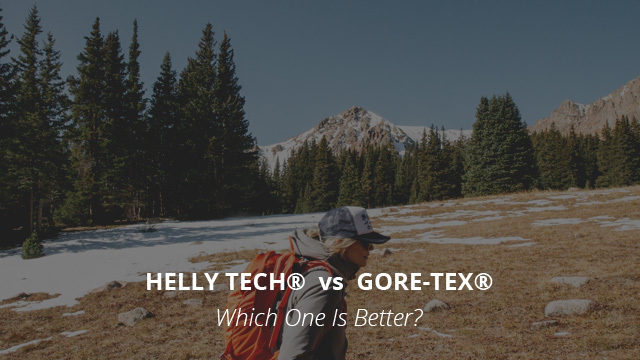 Helly Tech vs Gore-Tex Technology: Which One Is Better? Those that spend a lot of time outdoors know too well the problems that can arise from poorly-made garments, especially jackets, when it comes to dealing with the elements. From cold winds getting through the jacket, two even the lightest of rain soaking you completely, it is no wonder that waterproof fabric technologies are so popular. Even the most affordable ones will provide considerable protection, despite not being the most breathable or long-lasting ones. Luckily, there are some great quality fabric technologies available nowadays and we have, for months now, been on a journey of exploring these and getting to know more about them. Last week we took a more in-depth look at Helly Tech, a fabric technology that had made several appearances in our selections, but never had the spotlight all to itself. To keep things consistent, it’s now time to compare the Helly Tech technology to the staple of all fabric technologies, Gore-Tex, as we have done with several other technologies. As per usual, we will be going through a quick introduction of each and then move on to the most important part, which is the comparison between the two and see which one would be the best choice. Gore-Tex® is considered to be one of the best fabric technologies available today, as it provides the highest level of weather protection, along with being considerably breathable. This is the ideal combination because, in the case of jackets for example, a fabric that doesn’t breathe well will have you drenched in sweat in no time, entirely defeating the purpose of being waterproof and preventing the outside water from getting through. Gore-Tex® is made of ePTFE, which is a microporous material that is able to prevent water droplets from seeping through, as the pores are so small, but in turn it allows perspiration vapor to leave. It was created around the early ’70s by the son of Wilbert L. and Genevieve Gore, which are the founders of the Gore-Tex® brand. What makes Gore-Tex so different not only from any regular fabric, but from other technologies, too, is not solely the presence of the ePTFE, because we have seen it in the eVent fabric technology as well, but the way it is built. The reason for it being a laminate is due to the fact that it is a microporous ePTFE membrane bonded between two layers of fabric, and it is a technology because it can perform in ways that fulfill different requirements. Pro – Highly breathable and very durable, this option is suitable for outdoor activities such as hiking. PackLite – The lightest of the options, PackLite is designed more for everyday wear and light activity. Active – This is the most breathable of the options, very lightweight, highly waterproof and suitable for activities that require a lot of agility and intensity. Pro Shell – The option used in gloves, shoes and socks, it is very durable and resistant to wear and tear. Helly Tech® was developed by the Norwegian brand Helly Hansen, which was founded in 1877 also by a husband and wife pair, just like Gore-Tex®. As a fabric technology, Helly Tech was launched on the market in 1980 and has since then found use in a variety of outdoor garments that have a need for being waterproof and breathable. 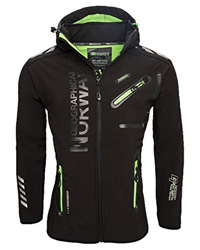 Construction-wise, this is a very particular technology as, unlike other ones that utilize the hydrophobic nature of different materials, Helly Tech relies on the hydrophilic quality of its fabrics. The membrane is both hydrophilic and microporous, the former helping the perspiration vapors to leave the inside of the garment, whereas the microporosity prevents water droplets from the outside to get through. and the third inner layer, which is the breathable one, usually consists of either mesh fabric or another highly breathable one. 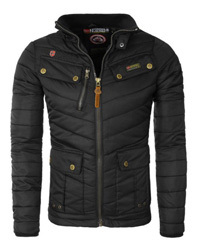 Helly Tech Protection – this is a waterproof and mildly breathable level, suitable for light outdoor activity. Helly Tech Performance – the level more suitable for intense outdoor sports and activities, this one is highly waterproof and breathable. Helly Tech Professional – just as the name suggests, this is the layer utilized in professional work wear as it is intended for very challenging conditions, such as those out in the ocean or mountains, and also it is made to be highly resistant to abrasion and wear. When it comes to a fabric technology’s waterproof rating, it is not in fact the be-all and end-all of how a jacket will perform. Seams and other design details can make or break a jacket in terms of weather protection, so keep that in mind when shopping for one. Taped or sealed seams are a must, in order to ensure that no water can seep through the seams. Now, both of these technologies are DWR-treated, meaning that they repel water on their surface, by not allowing it to pool on the fabric. In terms of their water column rating, Gore-Tex® is definitely the winner. With a waterproof rating of over 28.000mm, it is an extremely water-resistant technology. Helly Tech, on the other hand, is comparable to DryVent, which comes with a waterproof rating that averages around 15.000mm, but in this case it can go up to 20.000mm for the Helly Tech Professional performance level. As an essential feature of a high-performance jacket, breathability is where most fabric technologies differ from each other. In our case here, Gore-Tex® comes with a breathability rating of 15.000 g/m2/24h, which goes above that for options such as Gore-Tex® Active. Helly Tech is right up there with Gore-Tex® in this regard, as its breathability level starts at 5.000 g/m2/24h and can go up to 20.000 g/m2/24h. Therefore, in terms of breathability, they are quite similar, so it all depends on the actual design of the jacket, such as the presence of pit vents, for example. In terms of durability, Gore-Tex® definitely has the upper hand overall, as the ePTFE as a material is extremely durable on its own. However, the Helly Tech Performance level follows suit as it, too, is extremely durable. 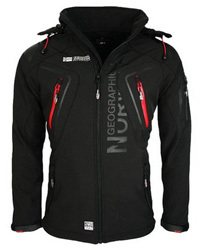 When it comes to price, Gore-Tex® is infamous for its high price, but Helly Tech does not fall far behind. These are both expensive technologies, and the price difference between the two is negligible in most cases. 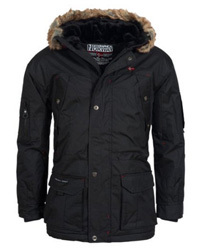 However, because Gore-Tex® is used by different brands as part of their jackets, there is a bit more room for the price options, as some are more affordable than others, but overall this is still the more expensive of the two, especially for high-performance jackets. Judging by what we have seen so far, in terms of breathability and weather performance, Gore-Tex® does perform better, but the fabric itself is a bit stiff and not as comfortable as the Helly Tech ones. Their overall performance metrics are quite similar, therefore we cannot say for sure which one you should go for. In terms of the quality of build, Helly Tech jackets are really well-made, and in the case of Gore-Tex® it really depends on the brand, so the only option left is to look around and decide for yourself.